An online encyclopedia that allows you to enter terms and learn more about specific topics through articles, images, maps and more. A comprehensive guide to worldwide Holocaust resources, including links to online resources, databases and e-learning tools. An interactive guide to life in Warsaw before, during and after the Holocaust. In her teens and twenties, Ms. Freidenreich Kempner of Radom, Poland struggled to survive and safeguard her family under the torments of Nazi rule. 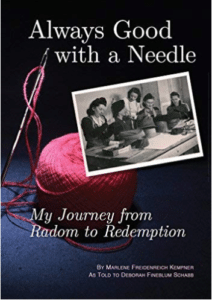 Ultimately, after narrowly escaping death in a series of labor and death camps including the infamous Auschwitz, only she and her younger sister were destined to survive, blessed with the opportunity to begin life again in a new land. In 1939, 34% of Kalisz, Poland’s population was Jewish. Six years later, 90 percent of these 27,000 men, women and children were no longer alive, murdered by the Nazis and their Polish henchmen. 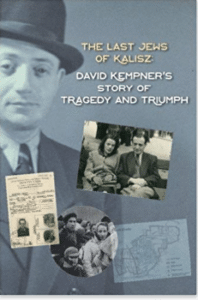 David Kempner was the only one of his Kalisz family to survive those terrible years, to build a new life in America and serve as an eyewitness to history.